Geeze, I can’t stop. I’m on a downward…slope. Here’s a list of common expressions and equations used in coordinate geometry and the geometry of shapes and solids, including the distance formula and the midpoint formula. 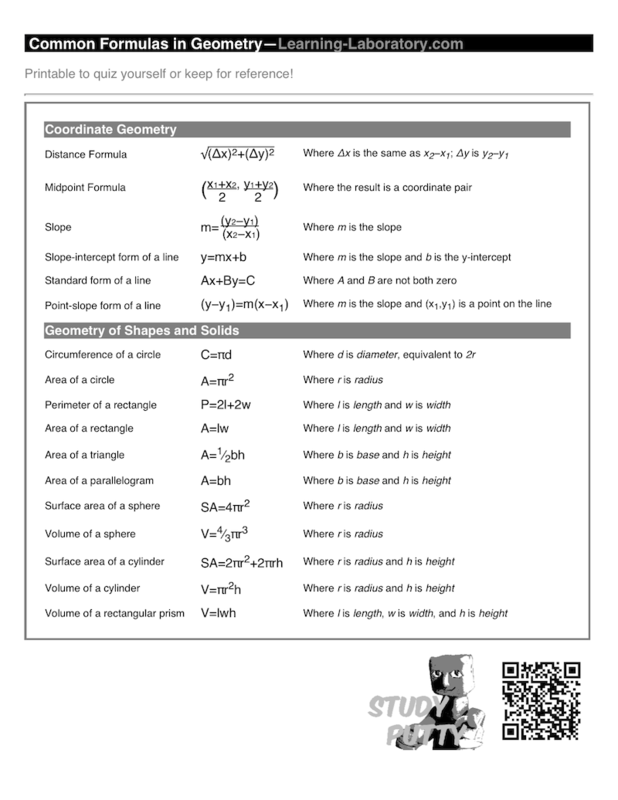 Click to download a printable PDF of the following Geometry Formula Sheet. Our online memorization tool, Study Putty, has a game for committing these geometry formulas to memory. You can study coordinate geometry formulas and the formulas for shapes and solids separately or together. We make it easy to do a SAT Math review or some ASVAB study if you need to brush up on your forgotten formulas with a few practice rounds. 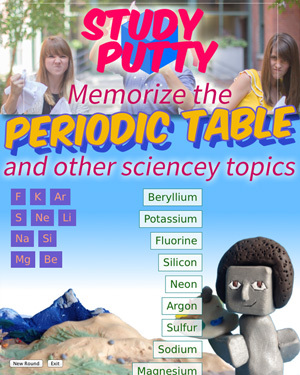 What do you need to study on Study Putty? Tell us here! Tagged educator resources, geometry, learning activities, Math. Bookmark the permalink.